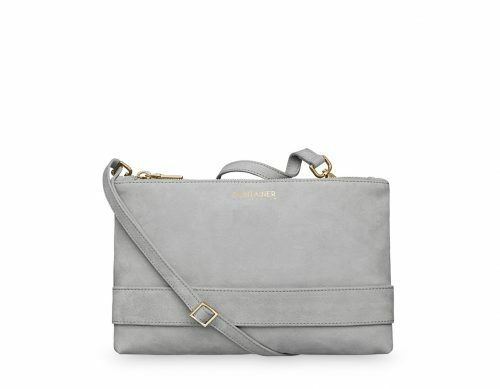 NOTE: Our popular clutch is momentarily sold out but will soon be restocked. You are welcome to send us an e-mail on [email protected] and we will notice you once it is back. 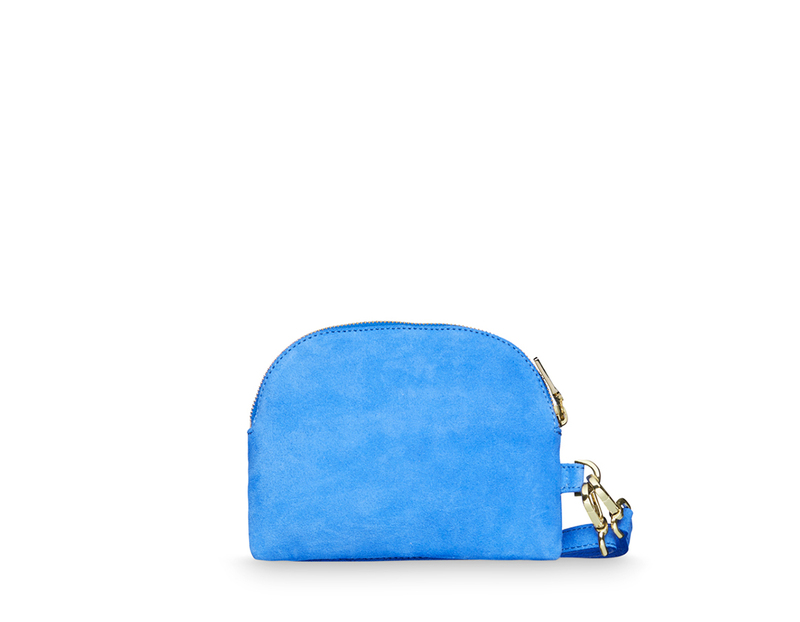 Our Blue Lagoon Mini Clutch is made of buttersoft sustainable Italian calfsuede. The interior is decorated with our signature print and has separate rooms for credit cards and small zipper pocket. 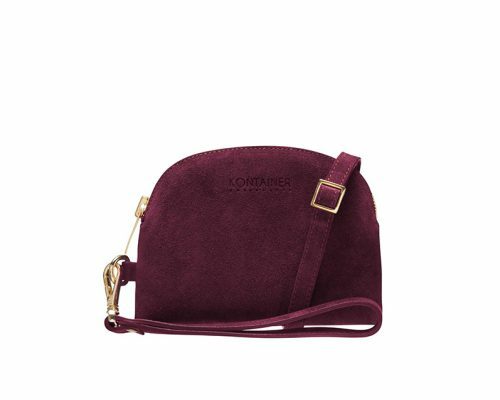 The Mini Clutch comes with a long shoulder strap as well as a short wrist strap in which you can easily attach or detach as you wish. An elegant choice to contain your necessities as phone, credit cards and cash – no matter if the occasion is daily use or a night out. 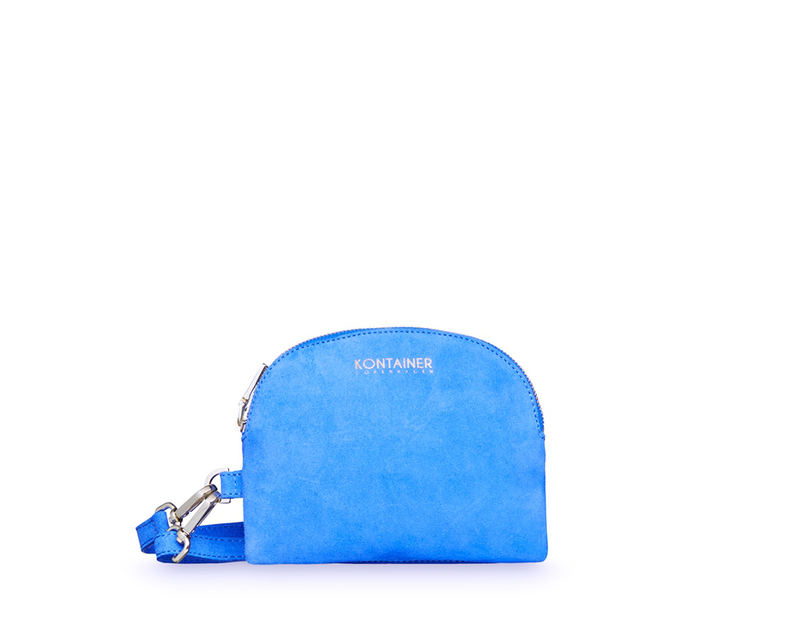 Comes with a dustbag in our signature colour. In Denmark we offer free delivery with GLS to your nearest GLS Parcel Shop. In the rest of EU GLS ships directly to your doorstep. Shipping cost 150 DKK / 20 EUR. Read more details on our Delivery & Return page.